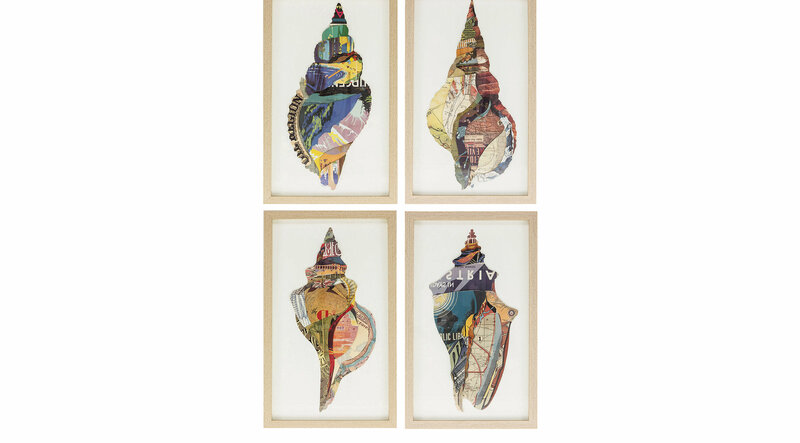 This set of four is so fun and unique with the images being made from a paper collage. The textures and style will make them statement pieces for your beach inspired home or vacation home. Comes ready to hang!